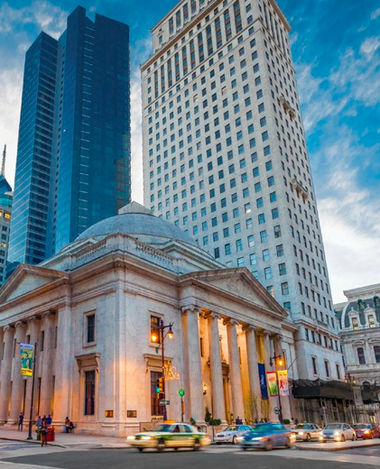 From Wharton experts to industry luminaries, the Philadelphia Fashion Incubator brings Philly together around entrepreneurship. Together, we transform design talent into fashion companies with a defined presence in the marketplace. Each year, we select a diverse range of dedicated designers and business people, focused on taking their vision to the next level, to participate in our designers-in-residence program. Over the next twelve months, our dynamic workshop-centered program connects them with the education, resources, connections, and business strategies necessary to grow their brands. We tap into our network of production pros, business buffs, marketing mavens, and entrepreneurial experts to guide these talented designers to their goals, step-by-step. Our active alumni community continues to stay connected through programming and events. True-to-fashion-form, these areas are tailored to the needs and goals of the selected designers. Over fifty business workshops with a monthly focus, taught by industry leaders throughout the entire twelve-month program. Business owners share their buying, pricing and merchandising strategies. Our designers present samples from their collections, leading to sales opportunities. Monthly trips to New York City give our designers the opportunity to attend wholesale trade shows, national press conferences, and to meet with industry leaders such as Steven Alan, Fern Mallis, Tommy Hilfiger, and Teri Agins. Pop-up shops, fashion shows, trunk shows and other special events increase our designers' exposure and provide them with valuable opportunities to showcase and sell their work. A team of mentors supports our designers during the course of their residency, serving as a sounding board and advising designers on the development of their businesses and professional skills, along with design collection feedback. Our designers meet monthly with Denise Dahlhoff, Research Director at Wharton, to receive input on their market research, brand strategy, and business plans. Our designers meet monthly with lawyers for pro-bono assistance with trademark and copyright registration, non-disclosure agreements, and contracts.